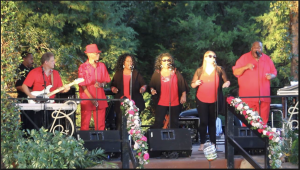 The Gentle Lamb Experience is a track/live party band made up of 2 to 6 musicians and vocalist.This group has a combined total of 30 years in the business. They bring to you a wide variety of music such as Motown, R & B, Jazz, Blues, Country & Party Songs as well as Ballads. Louis Lamb the founder of the group says… We aim to please and refuse to give anything less than the best, our intentions are to reach the hearts and souls of all audiences and perform like surgeons, taking their minds off the problems and letting them groove to the sounds of The Gentle Lamb Experience.